Mahindra & Mahindra established in 1945 is the multinational automobile manufacturing giant headquartered in India. Being the largest SUV maker and the largest tractor manufacturer of India, Mahindra & Mahindra has been showing its calibre in the automotive sector so far. In terms of commercial vehicles manufacturing, the company offers an entire line of trucking solutions. Its product ranges from trucks, tippers, tractors, pick-up trucks and mini trucks, designed for variety of applications whatever the business demands. 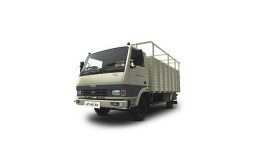 The most popular amongst the fleet Mahindra Jeeto, Mahindra Bolero Maxi truck Plus and Mahindra Bolero Pick-Up are especially engineered for Indian requirements. The price of Mahindra trucks in India starts from INR 6.79 lakhs, Mahindra tippers from INR 9.23 lakhs, Mahindra pick-up trucks from INR 2.70 lakhs, Mahindra tractors from INR 19.13 lakhs while that of Mahindra mini trucks starts from INR 1.88 lakhs (ex-showroom). The company is addressing almost every segment of the commercial vehicle market today. Mahindra & Mahindra is already in-line with the BS-IV emission norms and has ramped up the production for the same. Mahindra has been providing an entire line of commercial vehicle solutions right from the heavy duty construction trucks, bulkers, car carriers to transit mixers and refrigerated containers, giving the reliability as well assurance of company’s excellence in creating world class products. Besides the high performance range of products, company offers a strong service network. It has over 2069 retail outlets, 120 authorized service centers, 80 3S dealerships and over 2900 roadside service points to support customers on major routes. Mahindra & Mahindra has a reputable global presence as well with its products being exported to several markets including Africa, Europe and Latin America.